Does it sound impossible to you? Do you want to have 20000 LinkedIn followers? What if I share my story how I gained this number in less than a year? No doubt that LinkedIn is something I always loved and it’s considered as the most influential social media platform. I wouldn’t call it a social media platform, it’s a platform for professionals. Every now and then people are looking for better jobs and career opportunities and LinkedIn is the place. But the problem occurs when you have a desire to scale your list of followers but fail. Have you ever tried to chase a goal of getting 20000 LinkedIn followers? This is the first question I ask someone who gets amazed. In this article, I am going to share what I did and how you can get more exposure. People have many misconceptions about this platform. I am going to mention the things which will make you stand in the millions. LinkedIn is all about connecting with people. It’s not like Facebook or any other people who you socialize and waste the time with. It’s about connecting with the professional who can make you understand how important it is to build a persona of your own. I connect with my followers and that’s the reasons a personal brand has been formed. Most of the LinkedIn users forget to use the power of its endorsements. Creating your profile isn’t enough, to build its credibility, you have to do something. Winning the trust is the biggest factor in this online world. People are more likely approach someone who has a plus point it his/her profile and getting the more LinkedIn endorsement is considered at that particular point. It shows how many people have appreciated your skills. I have been recommended by many people because I have built my professional circle with different kinds of people. Don’t you feel good when someone recommends you to do a project for someone else? It’s because of the trust and the work you have shown to them. On your LinkedIn profile, you can add the recommendations to show who is saying what about you. Use your clients and their work experience with you. I ask only if someone is damn sure about me and my work. I helped many people in these years and that’s the reason everyone loves me and the brand I have of mine. To gain 20000 LinkedIn followers, this is the first fundamental requirement. I have come across thousands of profiles but only a few people have a true insight what a professional look like. You should never use any filtered image as long your face is clear. Never leave it blank. Fill all the talent you have, the work you have done so far, the company you’re working for or ever worked. There are many ways to create a professional LinkedIn profile which will directly improve your score of getting more hits. I always recommend providing your professional services free to everyone at least once in a week. 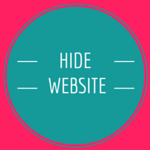 I always share a status on Monday to help the people who want to know about WordPress, web design, WordPress theme development, customization, SEO audit and what not. One status receives more than 13000 views in only two days. I have included this in one of the two tricks to dominate LinkedIn. People are fond of free things and when they see someone is showing a courtesy to spend his/her own time just for them, they just feel awesome. Can you avoid someone who is good with heart and provide everything for free? Well, this is a kind of similar situation. I started LinkedIn back in 2014 but never remain consistent and never had a good exposure. But as I started it with my passion in the starting of 2017, I could easily gain 10000 LinkedIn followers. The legacy keeps continuing and I crossed the benchmark of 15000 LinkedIn followers just after a few months. And you can see, it’s not even September and I already have 20000 LinkedIn followers. You can follow my golden rule. Post once in every 2 hours if possible. NOTE: Never compare LinkedIn with Twitter or Facebook, it’s more lucrative. If you can do that, no one can stop you getting the sugar you have been desiring for all those years. It’s one of the biggest questions, are your strategies working fine for you? Social media is like a two-faced coin, it can be flipped at a glance. It’s up to you how you manage to keep your heads or the tails. Gaining 20000 LinkedIn followers isn’t a big deal if you keep everything together and maintain an aroma of professionalism. People crave to meet someone with a persona of an expert who knows the value of this platform. You would be amazed to see how people respond when you’re influential. I have become a LinkedIn influencer and people think that it was just because of the luck. Let me remind you that luck is nothing you don’t work for it. So are you ready to sail your boat? I will be there to support you if you need me. You can connect with me on Twitter, LinkedIn, and Facebook. Tons of congratulations for making it to 20k followers on Linked.in . Few months back it was near 15k and just you got it here. Indeed Linked.n is everything a professional need. A social media platform which can help us to connect the master of our fields and of different tracks too. I have been always been dealing with, at what intervals we should put up a post here on this? It’s the matter of you manage to keep everything interactive and gain more followers. I post once in every 2 hours. First of all many congratulations for achieving this level of success in different social media platforms. I really appreciate your hard work. Hopefully, these tips are worthwhile for better social media approach. Congratulation! 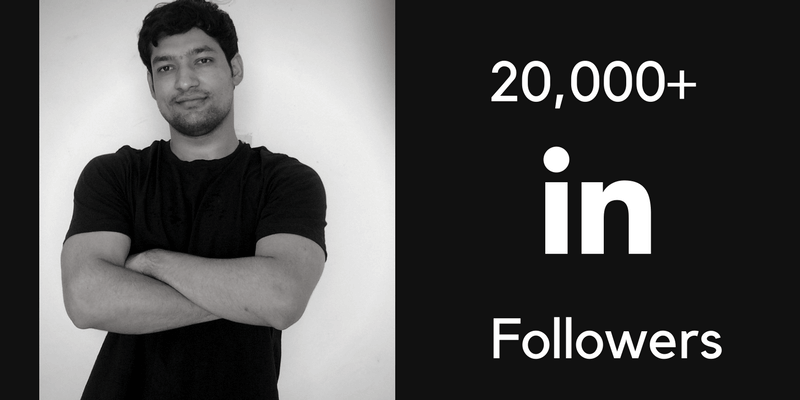 Amazed to know that you have 20000 linkedin followers. I agree that linkedin is a platform for professionals. Linkedin provide a way to connect with professionals and helps you stay in contact with millions of users. It is strictly used for exchanging knowledge, ideas and employment opprtunities. Thanks for sharing with us ! Keep writing. I started working on my LinkedIn profile lately and have over 80 connections and growing. I will focus more time and see if I can reach to at least 5000 by the end of this year. Thanks for sharing your secret sauces. My LinkedIn profile has about 7500 followers and still getting about 2 connection requests each day. Consistency is the most important thing as you’ve mentioned in this post. I’m also saying this with my experience because, when I was actively using and posting on LinkedIn, I got about 5-10 requests each day. And I have a question sir. Is It OK to duplicate the content on LinkedIn from the personal blog? 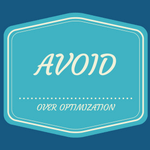 Will it affects on the blog’s SEO or penalized by Google? Sometimes, huge brands are practicing that. What do you think? Glad to hear that you’re working on LinkedIn to build your personal brand. Consistency is the key to reach more people. Yes, you can republish the content but not just copy and paste it. I prefer to change the intro and add only 300 words of the article and then redirect the readers to my blog. It helps to save from any penalty. Yeah. That is good enough for me. I will rewrite my blog post for Medium.